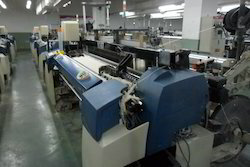 As per the needs and requirements of our clients, we are involved in providing Used Picanol Loom. This machine is suitable to weave silk, cotton, woolen, spun, filament yarn etc. - using is standard material is used for quality, durability & strength. - Tapes, Wheels, Tape Guide, Cutters etc. The company has 30 years experience in the field of weaving. Due to the latest technology being available to the company in the warp and weft preparatory divisions, the company has the capability of efficiently running world class water jet automatic looms of Japanese Technology. We offer to our customer wide range of Air jet Weaving Machines.